EnviroSolutions has completed hydrogeological investigations and site remediation at high profile sites where development and execution of the project scope of work with a commitment to detail is paramount. EnviroSolutions is accustomed to flawlessly executing projects when every detail counts. 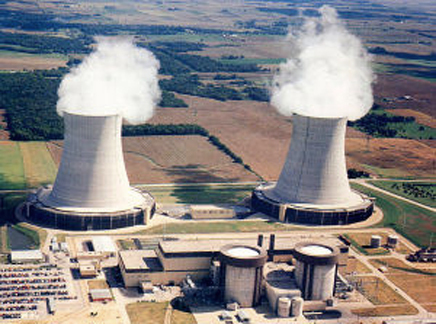 EnviroSolutions has completed investigation and site remediation activities within the restricted areas of nuclear and coal-fired power plants, where high-level security is required and sensitive ongoing operations limit flexibility. Techniques such as ground penetrating radar (GPR) surveys, electromagnetic surveys (EMS), and hydro-excavation are a few of the strategies that EnviroSolutions uses to focus investigation efforts and limit potential for interference with plant operations at these sensitive locations. Remediation strategies are also developed to achieve cleanup objectives timely and cost-effectively while minimizing impact to site operations. Our expertise includes comprehensive investigation of unconsolidated and consolidated subsurface conditions using hollow stem auger, mud rotary, or direct push drilling technology. Site remediation work includes manual and automated liquid phase contaminant recovery as well as vapor phase vacuum extraction. Our team of engineers and scientists design, install and operate these remediation strategies. EnviroSolutions is also adept at negotiating with regulators regarding environmental compliance at these complex sites and consistently maintains amicable relationships between the client and regulators. Call us today to discuss how we can solve environmental challenges at your site.